Over the past decade 4HR has researched and produced award winning graphics on the history of the BrokenBay / Hawkesbury / Gosford / Brisbane Water / Lake Macquarie areas. 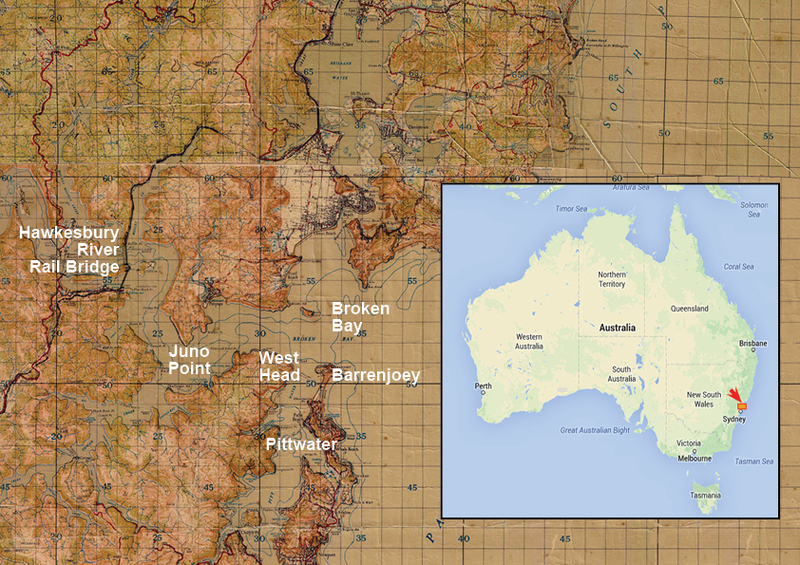 IMPORTANT NOTE: The Juno Point area is part of the NSW Government's Broken Bay Sport and Recreation Centre therefore permission must be gained before entering the site. NSW State Government legistration requires local Councils to undertake a review Heritage List in the LGAs every ten years, in 2013 Gosford City Council undertook this process. A consultant was contracted and a working group of community representives was formed. Some items were removed from the list and a number added, moved for inclusion were the wrecks of HMAS Parramatta and Swan and the Juno Point WWII defences on the Hawkesbury River. 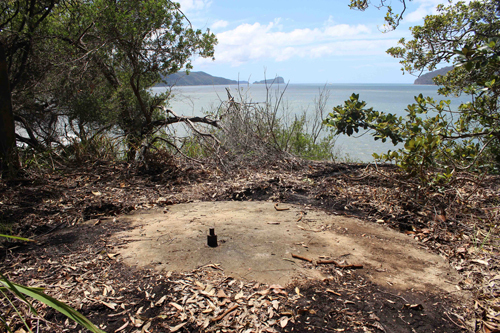 As nothing was known of Juno Point area, a site inspection was organised by GCC Heritage Co-ordinator. 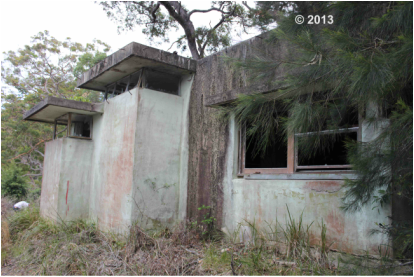 Following the site inspection the Juno Point defences were recommended for heritage listing, they were subsequently declared by GCC’s consultants as the Gosford Local Government area heritage listing of the decade. heritage listing of the decade". No. 2 gun position. A 18 pounder was sited here. Lion Island and Broken Bay can be seen in the distance. Below is a slide show of some of the photographs taken during a site inspection by Gosford City Council's Heritage Working Group in 2013.